PC content will be consistently pumped into this version. 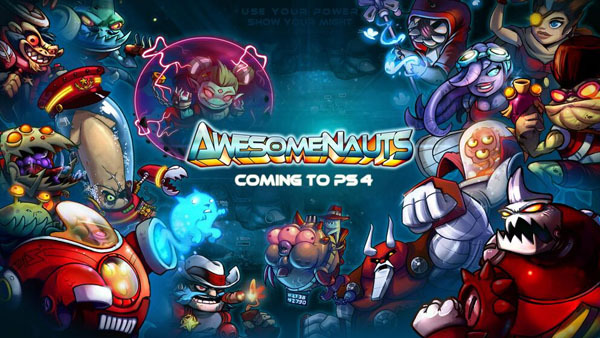 Some time ago, we got word that Romino’s popular MOBA title, Awesomenauts, would be coming to the PS4 sometime after launch. However, in this crazy time of the next console gen launches, things certainly do change quite frequently. As of now, be aware that the game will be arriving much sooner than we had hoped for (and that’s a good thing!). Recently, developer Ronimo announced that Awesomenauts for the PS4 will be released on the same day as the console’s launch, November 15th, on the PlayStation Network. Retitled as Awesomenauts: Assemble, this version will contain the most up to date content found on the PC version (up to v. 1.24 currently), which includes newly added modes in “Custom Games”, allowing players to customize settings for private matches, and “Team Deathmatch” will be priced at exactly the same amount as on Steam ($9.99 USD). Additionally, the game will eventually receive the recently Kickstarted PC expansion, Awesomenauts: Starstorm, and almost all of its content provided. Five new characters, a new map, and the Replay System and Spectator mode are stated to be in the expansion, but the latter two will be covered by the PS4’s hardware capabilities in some way. 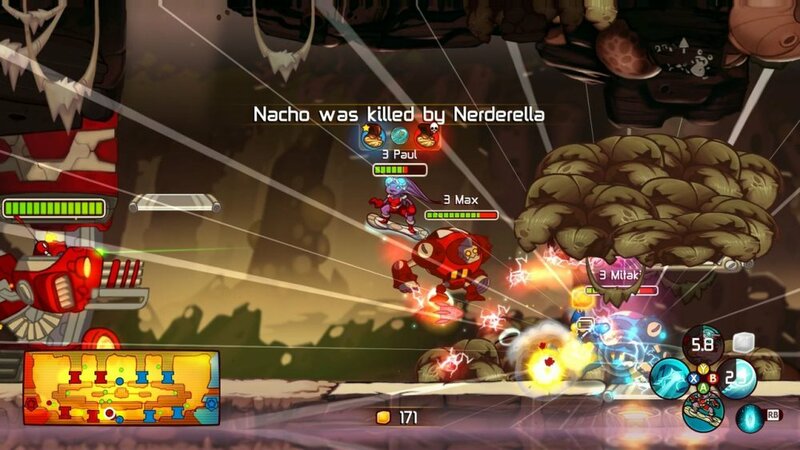 Awesomenauts is a fantastic 3-player co-op game that provides a solid MOBA experience to newcomers, but also has a high learning curve for the veterans. We are excited to see what this will bring to the console community, who have longed for a substantial content update. Page created in 0.3753 seconds.